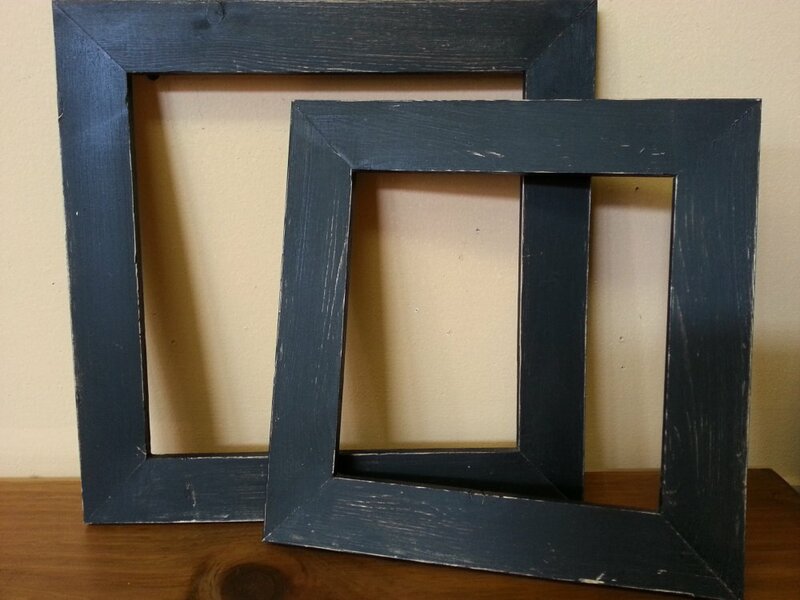 Our distressed black frames have mitered corners and come in the sizes below. The size given for each frame is the measurement of your finished piece, which will fit inside the frame with approximately a 1/2" reveal. Glazing points and a frame hangar for your completed project.